Archive by category "User Stories"
Tournament Winner – Thanks Fishdope! Fished on my friend Eddie’s boat the Seeker in the San Diego Rod Reel Club Big Fish Tournament. Had a great trip. 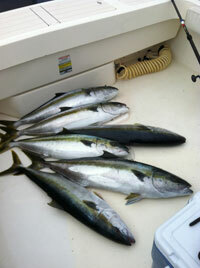 Limits of yellowtail, 1 dorado and 1 Bluefin big enough to win. Fishdope is simply the bomb. 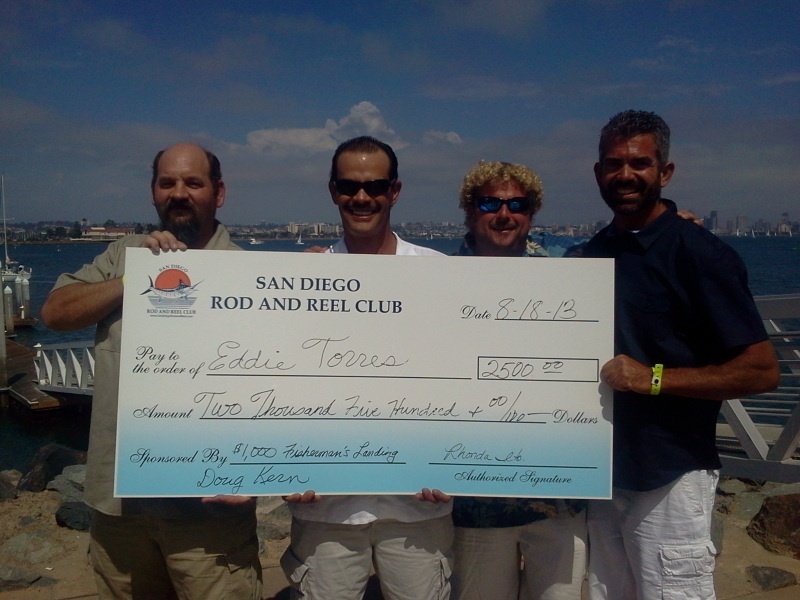 I have been fishing the coastal waters of Southern California and northern Baja for many years. I know all about the “free” internet sites, but never had much luck using just the SST’s.. and it seemed I was always a day late for the what the fishing reports offered. Surfing 4 or 5 different websites to put the weather and fishing information together is kind of a pain. Now that I have ALL of the fish catching information on ONE SITE, it is much easier for me to put it all together and find the fish! When the chlorophyll concentrations coincide with the temp breaks, it’s a straight shot to GAME ON! I burn less fuel when I know where the fish are, and I have a lot more confidence in my ability to put fish in the boat. Add the tides, moon phase, buoy data, and what you have a great all around “friend” to help you catch fish..and catching fish is why I go fishing! I use fishdope for every trip I make offshore. 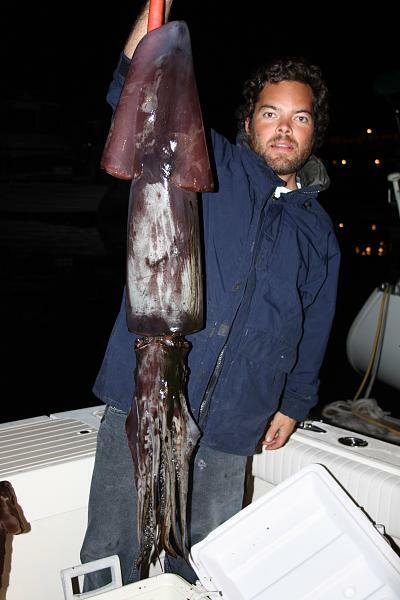 Ran solo last night me and my dog Sierra, in search of some giant Squid. Trip out was nice and smooth at sun set . Started a the nine and worked a area for nothing. Started working my way north and found some boats workin For the squids as well. Set up my drift and drop! 20min later frist nice Squid on deck. Instant re drop!! 20 min later the second one hit the deck!! These things are a trip,changing color, inking, laching on to things! My dog was freaking!! Anyway called it a night and headed to the barn. Was one of the nicest nights out their so clam like being in a pool with some crazy Squids swimming around!!! Upper Nine Fishdope numbers were right on!!! Till next time!! Happy holidays!! !